Eva Ruchpaul was one of the first female yogis to emerge in Europe. Eva was born in Béziers in 1928. At the age of 18 months, she contracted poliomyelitis and sought at a young age to re-educate her ailing body. In hatha-yoga she found a revitalising source of energy. Eva studied the theory of yoga in depth with her father, who was a professor of Philosophy. She pursued her studies with her husband, a Brahman, and continues her study and research today. At the same time as she relentlessly researches her technique, she is unearthing new and exciting potential for the science of yoga, which has been explored by Indian yogis for thousands of years already. 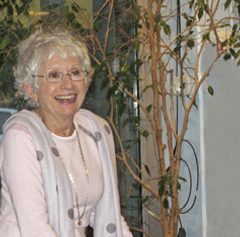 Thanks to the books she published in the sixties, to her riveting personality, her keen intelligence and her pedagogy, Eva has contributed widely to the discovery and appreciation of hatha-yoga. Her writings and her seminars reveal an astonishing capacity to render the richness of Indian philosophy accessible to western culture. Eva has not, however, neglected European humanist philosophy, which has equally nourished her reflection over the years. Montaigne in particular captured her attention. 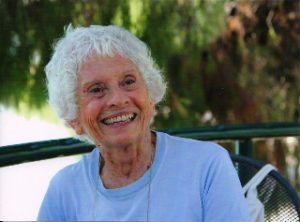 Her natural curiosity and her appetite to explore and learn led her to stay well-informed of modern scientific discoveries, especially those that touched on the functioning of the brain. In 1971 she founded her training institute. In this private institute of higher learning, Eva continues to transmit her pedagogy via a three year training programme for yoga teachers. Since its inception, the Institute has trained hundreds of qualified teachers who are to be found in all regions of France and in other parts of the world too. Other teachers at the Institutue back her up by giving regular weekly yoga lessons to non-professional students. Thus Eva’s yoga, which she describes as « well-tempered », is spread to a wide audience. It provides the balance and the stamina needed to face up to the demands of the modern world, and the pressure placed on modern men and women.